Plot Of all the continents on Earth, none preserves a more spectacular story of our planet's origins than Australia. 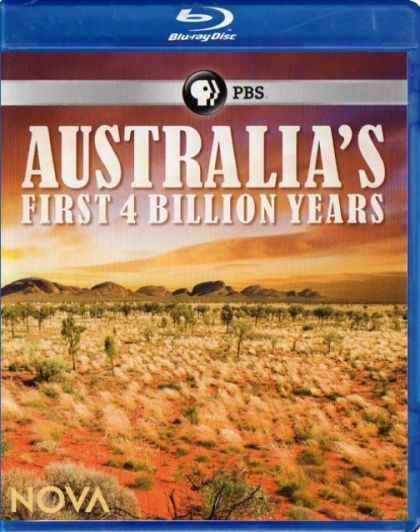 NOVA's four-part 'Australia's First 4 Billion Years' takes viewers on a rollicking adventure from the birth of the Earth to the emergence of the world we know today. With help from host and scientist Richard Smith, we meet titanic dinosaurs and giant kangaroos, sea monsters and prehistoric crustaceans, disappearing mountains and deadly asteroids. Epic in scope, intimate in nature, this is the untold story of the land 'down under,' the one island continent that has got it all. Join NOVA on the ultimate Outback road trip, an exploration of the history of the planet as seen through the window of the Australian continent.